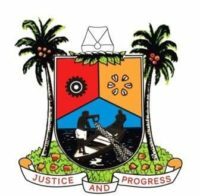 The Lagos State Commissioner for Works and Infrastructure, Engineer Ade Akinsanya has reiterated the government’s determination and commitment to make life better for residents, especially those living in Ifako-Ijaye Local Government Area, through the provision of infrastructure that will catalyse economic growth, social change and an enabling environment for businesses to thrive in Lagos. Akinsanya made this known while inspecting the level of work done on the construction of a network of strategic roads in Ojokoro Local Council Development Area of the State, noting that the new roads will further boost the nation’s economy through the seamless movement of goods and services between Lagos and Ogun State. He said that the fast-growing population of the area resulted in a dire need for infrastructure renewal, assuring that the construction of the strategic roads along the axis will improve socio-economic activities and connectivity with neighbouring Ogun State through Segun Adetiba Road and the bridge across Ilo River. The Commissioner added that on completion of the network of roads to complement already existing routes within Ojokoro LCDA, the perennial gridlock along the Lagos-Abeokuta Expressway will be eliminated thereby leading to a reduction in travel time along the corridor. “When completed, the 21 roads with a total length of 13,701km would have a provision of six laybys, street lights amongst other features” he revealed. Recall that early last year, Governor Akinwunmi Ambode commissioned a network of 21 roads in Alimosho Local Government with two bridges that connect Lagos and Ogun State at their boundaries to allow free access and movement of goods and services between both States.